As most of us already know, WordPress has the biggest community when it comes to support and consistency of creating new plugins and themes for us bloggers and business owners to take advantage of. There is a long list of qualified free plugins available for multiple purposes – to run your blog and business, and they come with a massive variety of features. But right now, we’re talking about WordPress security… something that often gets overlooked. Without it, your site can end up in pretty bad shape. Nobody wants that, or has time for it either. iThemes Security, known as ‘Better WP Security’ in its previous life, is a plugin on a mission to help protect your WordPress site in more than 30 different ways. It protects automated attacks (ughh), common security flaws, adds a two factor authentication process, password expiration, does a malware scan frequently, and a list of other things for WordPress security. The ratings are below. I provided this on each plugin because I don’t know about you but I like to see how many people are using it, update info, and overall performance. Click on the image above to download and read about the features/benefits. All of your hard work should never go down in flames, just sayin’. Backup WP is a plugin that does what it says it will do – back that thing up! I didn’t find a Pro version for this one. There are some FAQ’s on the page fyi. I heard about Sucuri in the past when a friend of mine had a major issue with hacking. It cleans your site if it gets hacked, protects you from attacks, does malware scanning, and blocks out all the bad stuff. There’s 4 videos on the page that talk about all of these things. And it looks like the basic plan starts at $16.66 per month but they bill you annually. So, that comes to $200 for a year. Overall, many website owners trust the service. All in One is another plugin that focuses on checking and fixing vulnerabilities in your WordPress site. It protects against attacks and sends you an email notification when someone gets locked out of your site. It also comes with a ‘security scanner’ to track files that are changed to look for malicious or suspicious code. It seems to be very stable and easy to use. There’s a 4 minute video on the page that gives you an overview of what the plugin can do to protect you. Key CAPTCHA helps to block out attacks by having you prove that you’re human. I love the idea of a captcha because it reduces spam A LOT. Key CAPTCHA is effective, has lots of options, and lets you protect login, comments, forms and more so that you’re completely covered and secure. It doesn’t look like there is a Pro version or anything but you have to get the plugin from its main site. I installed this plugin recently and I must say, it’s doing it’s job. It did a scan and found about 20 or so issues that needed fixed on my site. Most of them had to do with plugins that I weren’t even using. So, those got kicked to the curb. There’s a lot more you can benefit from by getting the Pro version of course, but for the free version, it works well and you have a lot of options for protecting your site. You’re even able to lock people out from trying to login to your site if they use certain words, such as “admin”, the common username. Optimize Database should keep your WordPress site running smoothly by keeping your database clean and preventing errors. All these and many more plugins can all help you to keep your WordPress site safe and secure – but remember that too many plugins can present a risk in themselves. Try not to overdo it – choose a security plugin and CAPTCHA that works for you and then just use common sense to protect against the rest! This plugin is suppose to be very easy to setup and use. It has a one-click setup wizard and a long list of featured highlights that you can read about by clicking the image below. It also has a Pro version that you can buy for $60 which looks like it’s pretty effective if 30,000 sites have installed it and not one has been hacked in over 5 years. If you have any other WordPress security plugins to add to the list, I’d like to hear about them. You can also read my post on taking other WordPress security measures here. Wow. I really needed this and didn’t even know it! I don’t have much protecting my site right now. Wow thanks so much for all of this info! I am a blogger and had no idea I should be thinking about this. I use Akismet for spam, but that’s it! Have a great week! Thanks for taking the time to put this together! Really useful information for those of us running a WordPress site! You’re welcome Rachel! Glad you found it useful. I was the same way Katie. After one of my sites got hacked a couple years ago, I started to pay more attention to security. Glad you found this info useful. I do not have key captcha at the moment. I should definitely install it at the earliest. This is great stuff to know about! I have friends whose sites have been hacked and it’s a miserable experience. Thanks for all these tips and plugins! Oh this is nice. Thanks for sharing this to us. It is really helpful for bloggers. I’m still trying the Database optimization though. This is useful information! All bloggers should be making sure that their site is secure. I never knew there were so many choices for security measures! Good to know as a fellow blogger. Security it’s such an important subject and a lot of people leave it as a non relevant when in fact we can just loose everything! I’m going to try the Key CAPTCHA. Ah there’s so much to consider with security but that’s why it should be a #1 priority. Thanks for this list. Yes I have. It was terrible and expensive to fix. Yes Bridget, there certainly is. Glad you found this list helpful. Omg you’re so right about that. It’s definitely your business to protect your business. Thanks Amalia! You’re welcome Chelsea and glad I could help! I didn’t either. I started using Wordfence a while ago and couldn’t believe how many people were trying to get into my site. It’s so important to stay protected. I know the feeling and yes it is a very daunting experience. Glad this list is helpful. I sure would suggest it at the least. People will try to get into your site everyday. Be safe. Yes Sarah, you always want to keep your business safe and keep unwanted visitors out! Take care. 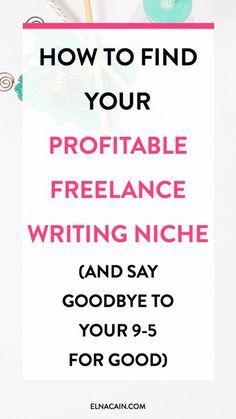 This is some great information for bloggers. I was trying to find some good security plugins and it is great that I found this article. this is super helpful! there is still a lot I need to figure out about plugins I only have a couple for security, but I will be pinning this for later to decide which ones to get! I am so clueless on this. Thanks for the tips! This is great post. Was looking for something like this since my blog would specifically need some security plugins. Great information. Thank you. Having recently gone self hosted I realise more now that security is a big deal so I’m going to invest some time researching the different options. This is such an important post, I have IThemes security installed on both my websites, but still on one, I get many spam comments, unable to know the reason of it. I promised myself this year I will invest more time in all the admin work and behind the scenes. Back up is something I neglect from time to time, which reminds me to check what plugin or even if I use one (Confused emoji). You made me reflect on how vulnerable our precious blog are! They are like our office or company and we must beware security! Thank you for this list! Thanks for the list. The recent hack attacks on self hosted blogs were a bit of a worry especially since many of them were running wordpress. These days, it’s important that you keep everything secure, especially account that contain important information. I think these plugins are worth checking out! This is so timely for me. Currently fixing my blog and this is super helpful! Thanks so much! I don’t have word press but I will certainly pass this a long to friends that do! Thanks so much for this insightful article! I’m a new blogger, and I’ve been so caught up in producing content that I haven’t looked into how to protect it! Thanks for making that easier! Wow! These are great useful. I was about to start my own blog. And i think this will help me a lot. Hopefully it will Nathan. You always wanna be safe and secure with your site. You’re welcome Kylie! It’s good to know this stuff so that you don’t run into any mishaps down the road. Yes they are Sabrina. I learned the hard way. Glad this list helped. Thanks Catalina! Yes girl, get to know the backend so you know what’s going on. Vulnerabilities happen all the time unfortunately. Hmmm, not sure about the spam. I use Wordfence and don’t get any. You’re welcome Steven! It’s a big deal for sure. Glad they were helpful Nicole!